A young boy who survived an 11-story fall from a Minneapolis high-rise has been dubbed "the miracle baby" and was recovering in a hospital Wednesday. 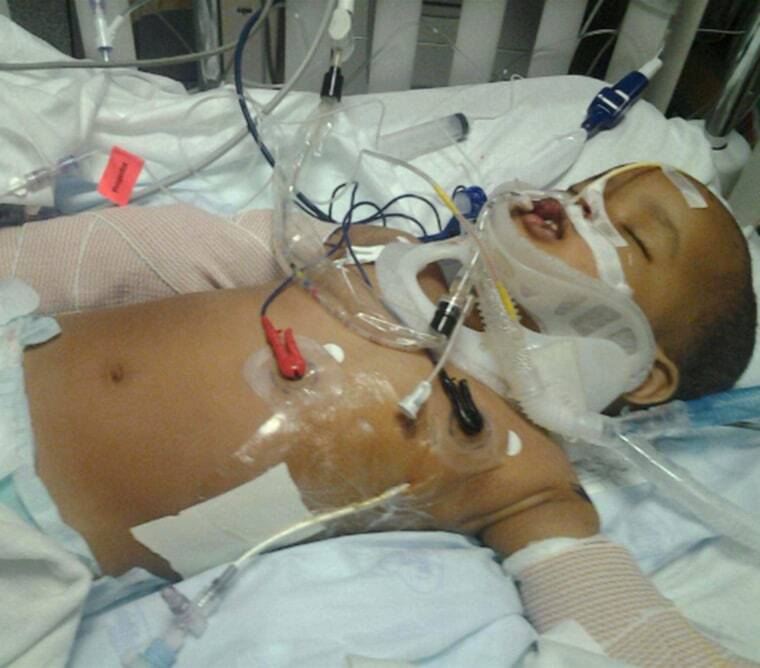 Fifteen-month-old Musa Dayib suffered a broken spine and ribs as well as a concussion and a punctured lung. Musa's relatives believe he slipped through the railing of his family's apartment balcony Sunday evening. The boy was in critical but stable condition Wednesday, Hennepin County Medical Center spokeswoman Christine Hill said. Dr. Tina Slusher of the hospital's pediatric intensive care unit told the Star Tribune that Musa landed on a small patch of mulch. "If you and I fell that far, we would be dead," Slusher said. "He's a kid. So they tend to be more flexible and pliable than you and I would be. Having said that, it's a real gift from God that he made it because this is a huge fall." A group of Somali-Americans who live in the area quickly gathered as emergency workers treated the boy and an ambulance took him to the hospital, said community activist Abdirizak Bihi. "When people found out he survived, no one could believe it," Bihi said. Bihi said the child's mother was running errands while his father watched the boy and his 3-year-old sister. The father had gone briefly into another room when the boy fell, Bihi said. In a statement released by hospital officials, the parents said they were thankful for the "continued prayers for Musa and his family at this time." The owner of the apartment building met with community members to discuss measures to keep children safe. At a tenants' meeting Tuesday night, Riverside Plaza owner George Sherman said maintenance staff will close off balcony doors for any tenant who asks, according to Minnesota Public Radio News. "For residents who would like to have a mechanism to block their patio doors from being opened, we will provide that accommodation, (we) have in the past, and will continue to provide that at no charge for the residents," Sherman said. Sherman said he's also checking to see what sort of permanent childproof locks are allowed under the fire code. The balcony meets requirements under city building codes. The vertical rods under the railing are 5 ½ inches apart, a larger space than today's building code requires, according to Minneapolis city building official Patrick Higgins. However, updates to the code are grandfathered in. "If they chose to upgrade those rails, they would have had to have brought them to the new standard, which is 4 inches. But we don't proactively go in and say, 'Code change, now you've got to change all your building systems.' If it was previously approved by the code, it's grandfathered until they choose to rebuild that area," Higgins said.